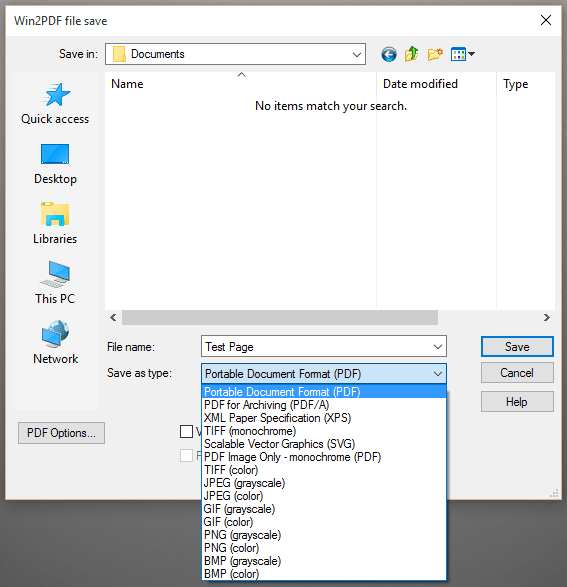 For example, to only display "PDF" in the file save window, you would set "formats" to 0x1 hexadecimal. The values can be added together to specify more than one format, so to display "PDF" and "PDF Image Only", you would set formats to 0x21 hexadecimal. To display all formats, you can set formats to 0xffff hexadecimal.